Ben Vickers in Gaming on 7 February, 2019. We’ve shown you the games we most enjoyed in 2018, now let us show you some of our highlights for the coming year. Each editor has selected some games to be released this year (or that have already have been) that we are most excited about. Hopefully we point out some gems for you to look out for, and help you to plan your game purchases for the year ahead! As you probably know from my ongoing review of Pokémon Let’s Go Pikachu, I love Pokémon games. In fact, I’m currently revisiting Pokémon White Version because it’s one of my favourites. So when Nintendo announces a new mainline Pokémon game to be released in 2019, you know I’m going to be all over it. Unfortunately, that’s all the detail we have so far; that it will be released in 2019, and it will be coming to the Nintendo Switch, presumably in the autumn, if it follows the usual pattern of European Pokémon releases. It is interesting to note that this means Nintendo appear to be moving away from their handheld, as Pokémon has been a mainstay of the Nintendo DS in the past (with a whopping 15 titles on the Nintendo DS, DS lite, and 3DS). Of course, you could still class the Nintendo Switch as a handheld, but I will be waiting impatiently for any news of this title, which will hopefully be a little more substantial than Let’s Go Pikachu. The only thing we know so far is that is has an autumn release date. Untitled Goose Game looks to be the perfect mix of interesting puzzles and humorous gameplay which often work so well together. The first thing I’m drawn to when I see gameplay is the calm, cute and colourful graphics. On the surface this is all serene. This is all until the Goose enters. You play an evil Goose in this game, causing as much trouble as possible in the calm neighbourhood it lives in. Honestly, being a horrible Goose is all I’ve ever dreamed of doing in a video game and I can’t wait to fulfil my darkest (and strangest) desires with this Untitled Goose Game. With the release date of Anthem closing in and the Hype of the Beta, it’s time to talk about what to expect from EA’s latest AAA game. EA as a company has slowly been losing the faith of its customers, and I myself will probably not be buying Anthem till at least 6 months after its release. That said, there is potential here. Anthem is a sci-fi open world MMO that adds vertical exploration, with Fort Tarsis being the home of humans in the world of Anthem where you forge and customize the Javelins that allow you to explore and fight in the world. I have high hopes; the addition of vertical movement plus possible multiplayer and high-powered suits provides massive potential for dramatic fight scenes. Apart from that, EA hasn’t presented much of the substance of the game and reports from the demo are not looking good, so let’s hope EA can sort out their issues and make Anthem the game it deserves to be. Fortunately, or Unfortunately if you prefer, I am old enough to have played Minecraft when it was in Alpha, way back in 2010. I remember the promise and ambition of the game world, and my brain buzzing with all possibilities of creation that were in front of me. This is how I feel once again when I think of Hytale. It is block based, with Hypixel Studios having origins in modded Minecraft minigame servers, and already looks better than Minecraft with a great deal more options for players. As well as building, Hytale also offers scripting and modelling tools, and adventure mode, and dedicated mini-game servers. The trailer has been viewed by upwards of 30 million people within the first month, and having watched both it, and several Youtuber breakdowns, I am extremely excited. One of my first thoughts when watching the trailer and discovering the scripting tools included was, “I wonder if this could be used to create tailor-made adventures for me and my friends, like D&D?”. I’m not sure, but it sounds exciting, no? When Days Gone was announced at E3 2016 I wasn’t sure what to think. Is this going to be one more post-apocalyptic zombie game to add to the ever-growing pile? 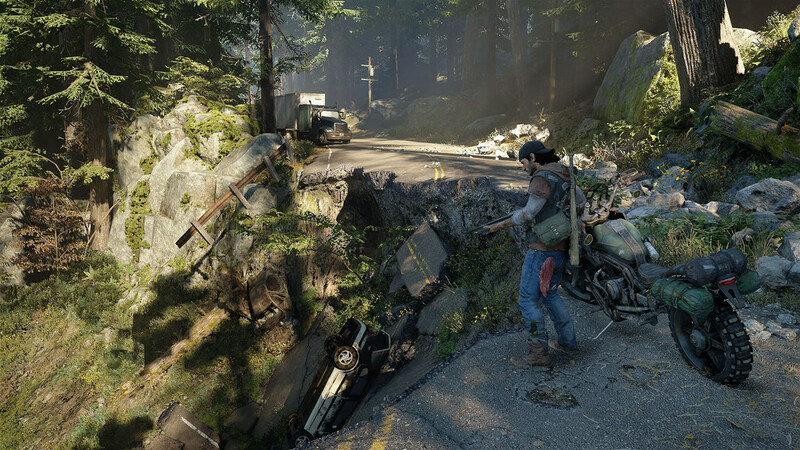 However, through a fast pace and grand scale, Days Gone looks to be bringing something more to the table. Yes, there are zombies, but they come in mind bogglingly large hordes which makes me wonder how my poor old PS4 is going to cope. What I also like is the emphasis on motorbike gameplay – I am especially looking forward to seeing what they do with combat in combination with this element. Now here is a game that has really piqued my interest; humankind developing from the missing link. Now here is a game that could be the game of the year, the premise is interesting, the gameplay looks different, and the whole experience feels like something new. You play as an ape ancestor of humanity and deal with the dangers of the world while protecting and increasing the size of your tribe. The promise of actually getting to watch your tribe grow, evolve intelligence and develop tools is really interesting. A word of caution, however, as games like this often have large issues and to be honest the promises sound too good to be true. Damn you, No Man’s Sky for ruining my trust in humanity. Despite this, Ancestors: The Humankind Odyssey promises to be a unique experience in a time period never really explored before in gaming and I cannot wait to try it. Now, I’m not going to get into the issues people have with EA owning Star Wars computer games, which I’m sure we’re all aware of. Wanting this game to be really good, however, is tempered with hesitation over not getting too attached. I would advise you to take the same approach. That being said, the title suggests that it will take place in the period between Episodes III & IV, after Order 66 has been declared, and Jedi are either eradicated or on the run from the Empire. This period of Star Wars Lore creates a great setting, which has been explored in the animated TV series Rebels. I also really, really hope that this involves lightsabers. I mean who wouldn’t? To be a Jedi Knight on the run from the Empire, being chased through the underworld of the Galaxy by bounty hunters, smugglers, and even a certain Sith Lord? Sign me up, please. Another Total War game? What spin or interesting angle shall Creative Assembly take on the ancient world this time? Three Kingdoms is taking us to the mysterious east; it’s China in 190 CE, the state has collapsed, and everything is in a state of, say it with me…total war. After playing Total War Sagas Britain I am concerned with the troop consistency, as unlike Empire Total War or the Rome series that had diversity, these new versions of Total War seem to lack troop diversity. That was part of the charm of the Rome series, figuring out which unit must compete with which unit for supremacy was a large part of the fun. 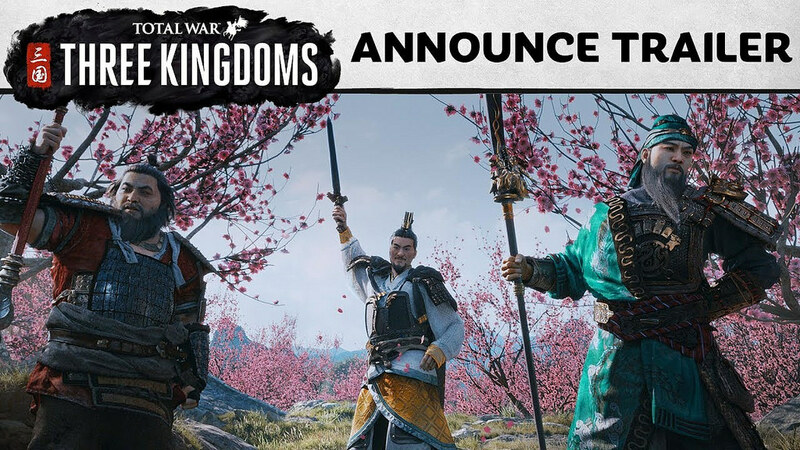 However, Three Kingdoms is bringing the franchise back to the east, which hasn’t been done since Shogun 2 and I am excited. As a hug fan of the Total War franchise I hope that the game mixes real history with gaming narrative as beautifully as always.